From the numerous fleet management solutions available today, how do you choose the right one? Statistics show that the Fleet Management Market size was valued to be $7,755 million!! This figure is expected to reach $34,629 million by 2022! Confused how to pick up the needle from the haystack? Don’t worry. The right solution is not set in stone! Analyzing some key pointers according to your business is all you need to do to choose the best from the plentiful! Below we walk you through the key areas of fleet management where we ceaselessly share the top-notch ideas to tackle your puzzlement! An efficient fleet management solution requires a profitable operation management system. Along with being error-free, the functions that are pivotal in fleet management include vehicle & driver tracking, asset management, two-way communication, driver safety, time management, after-sales service courtesy, and maintaining a good customer relationship. Growth in the adoption of wireless technology, the incorporation of ELD, need of operational competency in fleet management, and an increase in international trades are the major factors that fuel the growth of the fleet management market! Wireless Technology adoption in fleet management is expected to be high in the near future. It helps cut down fuel consumption and costs. Studies have illustrated that reducing idling time by just one hour a day per truck could save over $25,000 a year!! Other advantages being quick access, response and wide-area coverage benefits. 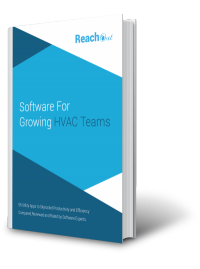 This helps the vendors to increase their productivity, efficiency, and ROI. So, What Can You Expect Out Of A Quality Fleet Management Solution? A quality Fleet management solution enables industries to track and maintain their fleet in a cost-effective and active manner. It performs necessary tasks such as vehicle tracking & diagnostics, financing, driver management, and so on. It helps business organizations that depend greatly on transportation to lessen or completely eliminate the burden associated with staff cost, operations, and other overheads. Reduced fuel & overall running costs, enhanced safety, and successful fleet operations, with real-time fleet tracking, are the interesting perks offered by a quality fleet management solution! The user will get information 24 hours a day!! Kudos to the satellites that are sending data across receivers and GPS tracking alerts. ‘Data is King’! Analyzing this fact is important! The data that these satellites send can be tracked via online software. This is how fleet industries can keep up to the minute with every activity of their fleet and truck drivers. Improves vehicle replacement planning and budgeting. Top-notch Deciding factors to consider while selecting a fleet management solution. Different businesses have different concerns. Fleet tracking can be a company’s prime need whereas another industry might be looking for a solution to avoid fuel expenses in overwhelming their budget. Analyzing your business requirements is thus important! For instance, the size of the fleet matters! For a small fleet, real-time GPS tracking and tactics to reduce operational costs must be considered as top priorities. As for a medium fleet, it will require a GPS tracking system that has all the amenities of an entry-level fleet management system along with some advanced telematics features. In addition to vehicle diagnostics, reduction of fuel consumption, good user interfaces, and driver behavior analytics. For a large fleet, priorities can be narrowed down to detailed vehicle diagnostics such as monitoring engine temperature, on-off time, stopover time, idling, fuel levels, and speeding activities, along with a dedicated server to store these large chunks of data generated from the vehicle diagnostics. Depending on your business requirements, select features that deliver the necessary results. The more detailed, the better the analysis results! Whether you are looking out for fuel analytics, automated vehicle tracking (AVL) systems, automated reports, threat protection, vehicle diagnostics using OBD2 devices or electronic logging devices for paperless recording, listing the required features beforehand is necessary. This helps in selecting the best suitable solution for your business. Cloud-Based support is a quality fleet management system that has to be incorporated to ensure efficiency. 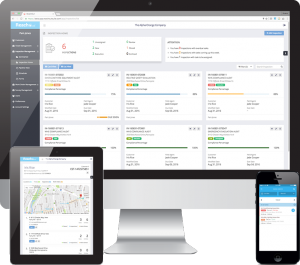 With this feature, the fleet managers can monitor their fleet anywhere, anytime and from any device. No one would want to end up choosing solutions with inflated prices. So it is important to set a budget limit to know how much your company will be able to devote on that account. The fleet management solution selected has to be flexible enough to grow exponentially with your business. Scalability, flexibility, and reliability are the three pillars of a long-term investment for a successful business! Investing in a fleet management solution that depends on the business requirements is paramount. Quite often, people or companies tend to choose a cheap solution and end up ill-fated. Choosing a reliable, scalable and flexible solution for fleet management operations, thus improves productivity, efficiency, and thereby returns! Real-time information can help cut fuel costs and avoid non-compliance problems. This helps keep customers satisfied and reduces over time. This ensures more activity done every day with efficiency. The User Interface forms the telltale sign of an efficient fleet management solution. The ability to remotely monitor fleet helps to single out issues such as excessive idling. This helps save fuel and also avoid fines. Each business needs a unique partner to offer expert advice and we can help you transform your business for a better future!! Let us help you figure out the best fleet management solution that can improve your bottom line.